Quiet. The only noise that seemed to reach his ears had been that of his own light breathing, the sounds of birds chirping in the distance, other forest creatures skittering about and not paying attention to the sole human occupant of the area Yuudai occupied. The larger forest creatures, the ones that potentially posed a threat to mankind, seemed to keep their distance as well, for while they hungered, the cold chill of an aura that seemed to surround the former shinobi kept them away. Even if they chose to do harm to the sole human occupant, they human would be the sole survivor, thus it was an unspoken agreement between the creatures of the forest and the human that they would not disturb one another. The smaller woodland animals seemed to mostly keep their distance, a select few cautioned to come his way before going about their own daily adventures. A sole squirrel had perched itself in his lap, nibbling away at an acorn it happened upon next to the purple-haired individual. While he knew what was going on around him, to a fair degree, the male kept his eyes closed, his head tucked down such that his chin pressed against his chest. He was weary; he had been ever since he left Kirigakure no Sato. Yuudai had never felt like this prior, though the circumstances he faced on a daily bases had never been present in his prior life. Back then he didn’t have the guilt of not caring for his mother well enough so that she could continue living (he blamed himself for being occupied with clan and village affairs) and nor did he have the guilt of being responsible for his significant other and their unborn child (he blamed himself for not being with them while the village was at war). It still hurt. All of it hurt. The only person he could trust, to be himself with, for the past twenty-five years was gone. The only person he had loved was gone. A child, one that hadn’t breathed its first breath, would not get to see the world, all because he wasn’t there to protect them. And then there was Suichi, whom he could not bring up. That was a betrayal of his own that he couldn’t fix, not anymore. Shifting slightly to not disturb the critter who enjoyed his company, Yuudai could feel his weapon resting against his left thigh, his back in constant contact with an ancient tree. The clothes upon his back had seen better days, the hood pulled over his head hid his long hair from the world, though it was no longer black like he initially bought it. Instead it had lightened over time, mixed with the faint traces of dirt, mud, sand, and blood. Should he find a place to properly clean his clothes? Probably. That however meant dealing with people and interacting with them to a minimal degree. That was something he’d avoid. If someone happened across him, it was likely they’d be repulsed by his clothing alone, though his person had been cleaned up. His hair and skin had been cleaned such that there was nothing upon them like his clothing; though his face likely told a different story. No longer was he fully able to keep a stoic mask on, for it had been replaced with something more sorrowful. Yuudai assumed it would pass in time, perhaps after having a good night’s sleep (it was far too early for that and the previous night had done him no favours). Even if he wanted to, he could never fully rest. His life had taught him that much – his scars from battle and torture told him that much. All he had left was himself and that was even worse. Back when they were alive and with him, people who could keep him level. That option was no longer there. Clearing his mind these days seemed impossible, for Yuudai had no more responsibilities, no more tasks, and no more priorities that could keep him occupied. Day in and day out, the former swordsman was stuck with himself and his thoughts – his thoughts were the worst when the delved in to territory that initiated all these negative influences. To silence them was impossible; they were still fresh in his mind, even though the events had been a so long ago. With the knowledge that it was nearing the time he usually ate lunch, Yuudai decided the moment the squirrel left his company, would be the moment he would begin his hunt for a meal. The forest around noon was lovely; its sounds were vibrant and diverse, and the life that flitted about during the day thrived. It stood in stark contrast to the last time Shinako had been this far out, cutting through the darkness on an unauthorized and fruitless mission. That had been in the wilds to the north of the Hidden Leaf Village, and now her duties brought her to the lower lands to the east. 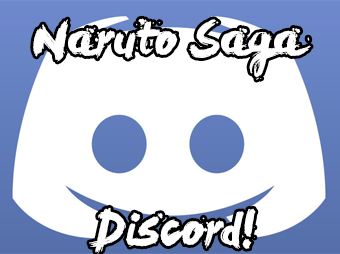 There had been reports of Shinobi from other lands lurking in the trees that guarded Konohagakure, and special hunter teams had been sent out to find and study them; to apprehend them, if necessary. That was not what had brought Shinako so far from the safety of her home village. She was a Chuunin, and an administrative peon at that. There was no way that anyone would have sent her on such a mission with a team of highly trained fighters, let alone on her own. However, the last time she had ventured out into the wilderness, she had brought something deep and terrible home with her. On her days off, the presence of it (him?) clung to her shoulders and threatened to pin her down, drowning her in the depths of some dark place she did not wish to go. It was the mornings when she woke up to the sound of its name, breaking through the barrier of her own lips like an unexpected intruder, that she found the stillness of her ancestral home unbearable; and so she left. It was not terribly difficult, as she had found out in the past month or so, for an off-duty Shinobi to disappear into the shade of the majestic forest of the Land of Fire. The administrators within the Village limits did not much care for one Chuunin on leave, and the ANBU Shinobi were not used to looking for targets travelling outward from the red-roofed bastion and into the thick, mysterious danger of the green. Just a few hours earlier she had easily evaded a lone, porcelain-masked figure as it stood out against the dark trunk of a tree. The Kunoichi knew these wood very well from her orienteering courses, and from the time she had spent in them with her brothers growing up. She had not dared to tell her brothers where she was going, and fancied herself the only soul with loyalty to the Hidden Leaf with knowledge of her whereabouts. She liked it that way. The air was a little bit crisper than the summer days which had preceded it, and Shinako walked almost lazily, keeping her senses alert, but not quite focused. Her shadow lay relaxed at the tip of her toe, and she paid no attention to it. Under the shade of the trees she did not quite feel invincible, but she felt something that she no longer felt within the confines of the village. With every step further away from the watchful gaze of the Hokage monument, Shinako felt a little bit freer. This was her state of mind when she caught on to the scent of something not native to this part of the forest. Carried on the air was the stale scent of sweat and blood, and she knew that it must be close. She stopped, standing stalk-still and taking a knee. She strained to hear, see, or smell something nearby, but only succeeded in confirming the scent. It was not exactly a body-odor, like the smell of a live man perspiring, but was older and mustier. She swiveled her head in an attempt to locate its source, settling on a massive, gnarled tree. Perhaps the source of the disruption was behind the trunk. Her hands almost shook with apprehension, so she formed the tiger seal for strength and focus. Her voice, in contrast, was low and melodic, cutting through the air as if to convey her own docile nature and lower the guard of anyone who might be listening. The even, conversational timbre of her voice seemed almost supernatural when thrown against the surrounding scene. The wildlife went silent, and something in Shinako knew that hers was the first human tongue to sound in these distant wilds in hundreds of years….perhaps ever. It did not quite achieve the tension that she thought it might, but the fey nature of it was surreal. The still noises that seemed to surround him brought him that sense of peace, of relaxation and serenity that he once had been able to find in any given scenario. Yet, this sensation of tranquility would only last so long, for no longer was his mind ever at peace with itself. Instead, the constant internal struggle that presented itself on a day to day basis had ultimately taken over, ultimately had full control over Yuudai’s thoughts and emotions. Those mental walls he had created so long ago that had protected him shattered the moment he began to care for someone other than himself and his mother – the woman whom he came to love, the woman who would eventually have given him a child – and that damage was seemingly irreparable now. There was no going back on this, there was no way for him to reverse the events that had led the former Sannin to the depths of Hi no Kuni to seek solace. Never would he have imagined this scenario for himself. Always, it had always been Yuudai staying within the realm of Kirigakure no Sato, protecting his home. Yet there was no longer a home to protect as far as he was concerned. The only links that really mattered that connected him to the village departed, leaving solely Yuudai. Even his heritage – his kekkei genkai – no longer mattered, that simply wasn’t a reason for Yuudai to remain in the village that was a constant reminder of his failures and shortcomings. It wasn’t a place to call home anymore, not when all it did was procure memories of loss and longing that would no longer come to be. Drawing his right knee towards his body, Yuudai let his right forearm rest upon it. A moment passed before he came to rest his head upon the forearm that had just been placed upon his knee. The critter in his lap quickly scurried to adjust his position on the left leg of the Hyouton user, swiftly going back to its prior task of devouring the acorn it attained. Calmly, Yuudai lifted his left hand to ghost over the critters back, trailing its spine for a few short moments. The bodily reaction of the animal was near instantaneous. While the atmosphere around Yuudai was cold like normal, touch brought upon the sensation at an increasing intensity – not one that would cause discomfort, but noticeable enough to create a reaction. The hairs upon the squirrel’s back stood, the rodent freezing in its place for a few short seconds before going back to its task. That was when he heard a difference in the forest. The natural sounds of the forest came to a halt, all except for the creature that was Yuudai’s temporary companion. He wasn’t unsure of who it was, except that it indeed possessed a chakra signature that would have one cautiously wary of their current predicament. Yuudai felt that he should remain cautios of the situation procuring, yet he felt no desire to fight against it. If this brought his end, then who was he to oppose it? If this individual would relieve him of all the mental anguish he currently faced, then he would welcome it. Fighting, killing, and being a shinobi… all those things were insignificant to him now. No longer could he identify with any of those things. Twenty-five years of age was still young in the eyes of civilians, shinobi were an entirely different story (most would kill to live at least until that age). Yet, he seemed tired of it all. Yuudai wasn’t actively welcoming death to appear before him, but instead ready to accept it whenever it came to be – there was next to nothing for him to continue onward for. So, the moment the voice cut through the forest, he already knew what he was going to do. A simple question asking about the presence of another being; his shinobi career taught him it was foolish to openly indicate one’s location, and there was no use in Yuudai trying to remain hidden – he wasn’t even bothering with that. Whomever was on the other side of the tree, Yuudai would reply to them. The sheathed blade clattered against the moss and roots, causing Shinako to jump backwards. She was surprised to have received such a response, and could not say that it was entirely unpleasant. At the very least she had not received a salvo of steel. However, there was always the possibility that this was a trap. The katana seemed to indicate that the man was a fighter, either a Shinobi or a Samurai. She certainly would not have thrown her own weapons away at the approach of a stranger, even to signal that she was not hostile, and she guessed that a Samurai would not either. Her quick calculations led her to believe that she was dealing with a Shinobi who was either very confident in his own abilities or very foolish. The words of Lord Shikashige echoed in her mind. She drew a kunai knife from her weapons pouch, where it hung from her sash near her lower-back. She gripped it firmly and cautiously in a reverse grip with her left hand, but did not make an aggressive move, preferring to continue to scan for traps or other perils. Her shadow, short though it was in the noon sunlight, now lay in a dark dagger between her and the trunk of the tree, straining against its natural limits as though it desired to grow longer. Shinako didn’t pour her chakra into it yet, unsure of whether the expenditure would be warranted. The forests were a dangerous place, and it was not a certainty that she would be able to find food or shelter enough to recover from chakra exhaustion. She strived to control her breathing and her heartbeat, though she had not quite mastered those arts. From the location of the voice, she was fairly certain of at least one man’s location, though as she spoke she continued to search for others. The Kunoichi managed to impress herself. Her voice remained cool and calm, almost musical. It was the type of tone she might use while talking to a volatile suitor in a parlor, in order to hedge her bets against any adverse reaction. She let out her most convincing fake giggle. It had fooled many a man before, Shinobi included, and there was no harm in trying it. At worst, she figured she might come off as nervous, which she was. In the silence that followed her words, Shinako was still unable to detect anyone else in the immediate area. That did not necessarily mean that there was nobody around, but so long as there was only one detectable threat, she might as well focus on that. It was not often that Shinako referred to herself as a ‘girl.’ It was considered a desperate attempt to appear youthful in polite social circles, and the deep maturity of her voice probably betrayed her age. However, she wanted to maintain the image that she was not a threat to the stranger behind the tree. In truth, she did not know if she was, but there was no use in escalating an already apprehensive situation. She steadied herself against the ground in her crouched position with her right hand. She was not exactly camouflaged, though the maroon of her qipao dress was slightly difficult to see in the shade of the canopy. She had to be small. Yet, there was something in this interaction that did not feel like her twitchy standoff with a young Sound Shinobi a few short weeks ago, or her aggressive battle with a bear. She thought back to the tone of the stranger’s voice, analyzing it after the fact. Did she detect a hint of resignation there; the blue and heavy tent of sadness? Like with so many other things in the Shinobi world, there was no way for the Kunoichi to be sure. Regardless, there was no way discernible way through this situation but forward, and they would have to get through this thicket together. Discarding his katana had meant to act as a display of nonaggression, for Yuudai had no desire to fight with the female whom happened upon him – Yuudai currently wasn’t sure whether she had sensed his presence here or randomly stumbled upon him. One should always expect the worst to happen and in this current scenario it happened to be the woman attacking him spontaneously. Even with the lack of a weapon, Yuudai wasn’t completely defenseless when it came down to it, but he had no desire to get into a skirmish with the woman. Twenty-five years of living and over fifteen of being a shinobi, there simply was no desire for Yuudai to get into anymore battles that held no purpose (at this point, all the battles he were in were unimportant in the grand scheme of things). With the only weapon Yuudai had on his person – for he lacked any senbon, shuriken, and kunai on his person – thrown just five feet away, Yuudai finally opened his eyes, blue orbs taking in the brown rodent and its furry tail in his lap. With a gentle stroke to the creature’s cheek, while listening to the woman, Yuudai began to wonder what exactly the woman was doing here if she wasn’t looking for someone in particular. No one should be hunting him, and even if they were, they would have no idea where he was. The only person who knew his last few whereabouts was Kaguza and Yuudai wasn’t sure what exactly was going on with him. Other than that, only the squirrel and woman in his presence would know his exact location. Worst case scenario for Yuudai was finding a new area where he could stay temporarily, before he would need to move on once more. Not being able to previously recall this particular voice before, Yuudai could only assume one of two things – one option being far more likely than the other. Either this woman happened to be a hunter-nin of Kirigakure no Sato or that she happened to be a local of Hi no Kuni. A hunter-nin was unlikely, for they wouldn’t have even bothered to state their presence. Thus the woman would most definitely happen to be a local of Hi no Kuni, and the likelihood of being a kunoichi were far more likely than that of a simple civilian. The giggle she released, albeit false, put Yuudai at ease to a degree. He wasn’t sure if he was entirely safe here with her, but there was a lack of a direct, immediate threat that Yuudai needed to worry about. Her query about him being alone or injured, both of which were true to varying degrees, and helping him soothe her nerves would have once put him on edge, or at least wary of the female. With an inaudible sigh being released, Yuudai tilted his head back such that the top of his head hit the trunk of the tree. “I’m alone.” He would usher out, his tone remaining the same as it had been previously. If it would put the girl at ease and allow Yuudai to not have to worry about his day, then he would comply with her latter request. “I’ll come out… just don’t…” His words faded away, his desire to request to not be attacked fading away before he could usher it out. Not bothering to finish off the statement, for he would acquise her request, his left hand went to nudge the squirrel off his lap. “Off you go.” His voice was far quieter this time, less resignation and more normal than it had been in ages. With the critter scurrying off, Yuudai would rise to his feet, his hood still covering his face with the cloak lightly brushing along the grass below. The entirety of his cloak resembled the hood, faded colour with a mix of blood, dirt, and mud. It had definitely seen better days, but it was beyond the point of ever being pristine. For any other individual, they would easily suggest that he attain a new cloak to replace his current one. The rest of his clothing fared better, for it didn’t face the weather often compared to his cloak. His clothing had reverted back to a more traditional attire, what he wore more often in his younger years; a dark teal kimono suited for both combat and casual way, allowing him the freedom to move about should the need arise, though it was currently hidden beneath his cloak. His left hand was wrapped in a white medical bandage; dried blood could be seen in various spots over it, though his fingers were free of any wrapping. The bandage went all the way up until mid-forearm, a result of a scuffle against some bandits near a small village. A white sash held the kimono in place and it was all topped off with white socks and sandals. Stepping around the tree, Yuudai’s figure would be visible to the woman, his hands resting at his side, but openly visible for her to view. His own view of the woman was entirely obscured by his hood, such that his hands slowly reached up to pull it down, his long hair tied in to a loose ponytail at the base of his neck, his own physical appearance being of cleanliness compared to the cloak he wore. Blue orbs glanced over the woman and then the surroundings, making sure there weren’t more with her. No longer was there the slight light in his eyes that showed constantly, nor the one he openly showed to his former fiancée and his mother. Instead, they were more dull than anything. Pushing his loose hairs to either side of his head, he’d scan the area the woman occupied, trying to anticipate what was to come of this scenario. “If you aren’t looking for anyone, then, if you don’t mind me asking, what brings you here?” One thing that had stuck from the events prior to everyone in his life passing away was the ability to keep his voice emotionless; facial expressions were an entirely different thing. Shinako wasn’t quite sure how she should answer the man. She still had no frame of reference for who he was, but she certainly hadn’t seen anyone who looked like him in the Hidden Leaf Village. There was probably very little chance that he was a hunter-sweeper from Konoha, so he probably wouldn’t be looking for stray Shinobi like her. However, this far away from civilization, there was very little chance that he would buy the excuse that she was simply out for a stroll. It seemed that the situation would require a little bit of finessing. The Kunai knife in her hand had probably already betrayed the fact that she was a Shinobi, so her fabrication would have to encompass that much, at least. However, she did not wear the distinctive and renowned vestments of a Konoha ANBU operative, so she could not go that route either. It was in the depths of this quick deliberation that Shinako began to feel ashamed. This was the furthest she had ever been from the village without permission and accompaniment, and the stigma of that stung her. However, what shamed her even more was the fact that she was considering a well-crafted lie to give to a complete stranger. She dropped the pretense in her voice, and it sounded normally through the relative silence of the trees, all magic stripped away from it. There was something slightly unnerving about the stranger’s eyes, but nothing that told her that he could not be trusted with the truth. She could scarcely conceive of an actual consequence in telling him, other than the relief that she had finally stopped lying. It seemed, those days, like everything she said was some mixture of truth and fiction, designed either to appease or to distort. That was the true art of the Shinobi; the art of deception. She had not come out into the woods to be a Shinobi, but to escape from all of that; and so, she told the truth, for what seemed like the first time in weeks. Knowing that she was unlikely to encounter another person any time soon in long trek through the solitary, lovely woods, something prickly and inquisitive in Shinako began to prod at her. Not trusting it, she held her knife a little bit tighter and looked around once more, still seeing nothing. It was only once she was satisfied that she was not falling into a trap that she gave in to her curiosity. It was probably only the desire for human interaction that kept her rooted to the spot. There was no mission objective, and the man had disarmed himself and come into plain sight. All of the pieces were in place for a peaceful de-escalation and retreat, but Shinako was not afraid of this man; certainly not after all that she had seen and done on the border with the Hidden Sound. Besides, there was a lonely part of her that craved to know why another lonely soul would come to this same place. A foreign shinobi finding temporary refuge in a forest in Hi no Kuni had been Yuudai’s one and only reason for being in the area. It had been the peace and quiet of the forest that had drawn him in, drawn him to rest his body for a couple of hours before he would move on once more, to find a new place to rest before having to repeat the cycle. Staying in one single place was no longer an option, for the moment he would adapt to it, where nothing would be surprising to him, he would be left only his thoughts to haunt him and that was an option he wanted to actively avoid – something he had been failing horribly at. There was nothing that really identified him as a shinobi any longer, at least nothing physically visible that the naked eye could absorb. Suffice to say, someone who was actively looking for the tell-tale signs of a shinobi would be able to find them, especially if they happened to be trained as one as well. Yuudai, while he no longer identified as one, would certainly be giving off those visible signals that he couldn’t be bothered to hide. The moment the woman had confessed to simply being tired of her village, Yuudai could relate with her to a degree, albeit for entirely different reasons as to why Yuudai was outside of the walls of his own village; miles away from them. With his eyes once more scanning the vicinity and finally settling in the locale of the woman, Yuudai let his mind slightly wander to what exactly she was doing here, specifically considering she had called out to him; it was likely she had been able to sense his presence. Whether it was his chakra or his scent, neither of which Yuudai had been trying to mask, she had picked up on one of the two and knew he had been in the area. Yet, it seemed she had sought him out, for one reason or another. That seemed to be the only logical form of reason his mind could reach as to why she had spoken up in the first place. Had she not, Yuudai likely would have been entirely unaware of her presence, as he had wanted to be alone. Being in the company of others, especially now, was something he couldn’t bring himself to do. The meeting with Kaguza had been odd enough, though that could likely be attributed to Kaguza’s predicament when he had seen him; that meeting had also been the moment Yuudai had parted with his last reminder of Kirigakure no Sato that he could physically give away. “I was…” He paused for a moment, regathering his thoughts to give a more truthful statement than a complete lie that would have manifested upon his tongue at that moment. “I was passing through the area and it was quiet and calming enough that I decide to repose myself here for some hours.” It was the truth, but not the entirety of the truth. Why should he tell a complete stranger on why he required a quiet and calming atmosphere to try and help his mind to stop wandering to the deaths he had on his conscious? There was absolutely no reason for him to inform her of his past and the actual reason he was here, when she was still an absolute stranger with no name. It was simple; there was no point in elaborating. The truthful answer, this time, came almost effortlessly to the Kunoichi’s lips. Perhaps she had left the Shinobi world behind more effectively than she had thought. Of course, she did not have very much experience with the types of sophisticated traps that Shinobi deployed in the field. There had been in-depth discussions of the different ways to ensnare a foe in academy, but ultimately all such measures depended on the circumstances, the location, the abilities of the parties in question, and the desired effect. In truth, she had hardly though on her training with nets and pongee sticks as she traipsed through the forest, much less when she had detected a potential threat. Her skills were still not quite that sophisticated. Her mind still worked in static squares when it came to armed engagement and espionage, unlike the nuanced and urbane workings of her social mind. It was for those very reasons that Shinako continued to hold the Kunai knife between herself and the stranger. She was unsure if the danger had truly passed, or if the situation had been intentionally designed to appear that way. For all she knew, this might have been an elaborate Genjutsu, though she saw none of the tell-tale signs. Perhaps the situation called for a change in perspective. Shinako stood and glanced around again. It had not escaped her notice that the man opposite her had indulged in a similar gesture, scanning the scene briefly. However, his hesitation in answering her question did not exactly put her at ease. She was still operating on the strange gut-feeling that this occasion was quite unlike the traumatic events that had driven her out into the woods to begin with. She stopped her breath control technique and breathed freely, letting out a small sigh that neither betrayed relief or exhaustion. In the following moment, the woman reached her left hand behind her and placed the knife back into her tool-kit. The dark blade of her shadow did not relax, and continued to angle toward the stranger. Shadow manipulation as the only Shinobi skill she had practiced since childhood, and it was truly second-nature to her. The shady specter was almost invisible under the canopy of the trees, but Shinako had an innate perception of where it was. On some level or another, it gave her enough comfort to put her steel away. She showed the man her hands and flashed a nervous smile. A cold trickle of sweat made its way down the back of her neck and down past her collar-line, and Shinako had to fight her nervous system to keep from shivering. The sensation brought the odd and prickly feeling of goosebumps to her skin. Her mouth was dry with the tension, but she did not dare move away from the situation until she was certain of what she was looking at. If she truly was a target, or a hostage, she had not been able to figure it out. Something told her that humanizing herself a little bit might discourage the man or any comrades he might have lurking in the foliage from harming her. She bit her lower lip and wet it with her tongue, bringing a little bit of moisture back to her mouth. Luckily her voice had not cracked with stress. Her bright brown eyes surveyed the man’s features once again, searching desperately for something that they could trust; searching in an incredibly hopeful way for a hint of safety in a dangerous world. While it was fair for the woman to assume that this had been a trapped, Yuudai had never been one to confront someone through more subtle means – even with his education and knowledge in genjutsu. More so, Yuudai would never lay a trap for an individual he had no knowledge about and one whom he had only been introduced to for the first time. Even a target in which he would want to trap, he’d at least have the preliminary knowledge of their name and basic appearance and fighting style; he knew none of those about this woman. There was absolutely no reason for Yuudai to lay a trap, much less for this woman when he solely sought to be by himself whenever the opportunity presented itself. He could not fault the kunoichi for being suspicious, for he wasn’t native to this land or familiar to the major shinobi village that oversaw these grounds. Perhaps his name was still out there to a degree, as he had once been an important figure in Kirigakure no Sato, but his name had never been important enough for those outside of Kiri to remember. He once stood as a Sannin and Seven Swordsman, but those days were eons ago in the age of shinobi – two years in the lives of the normal civilian. Regardless of who Yuudai had been and was now, he had no reason to prepare a trap in this foreign environment, not when he barely had the will to participate in any form of combat. Changing his own posture to be more relaxed, for the woman known as Shinako posed no threat to Yuudai, currently. It seemed that the situation at hand had her more wary of him than he of her, for Yuudai was fairly confident in his abilities (had been) and he was prepared to die whenever that particular moment posed itself to him. There was nothing for him to really fight for, to protect, such that death was the only goal he had in mind, though it wasn’t one he would actively seek out on a day to day bases. Instead, the former Sannin opted to keep to himself and let each day pass by, though all of his days were wrought with negativity and guilt about his past and shortcomings. 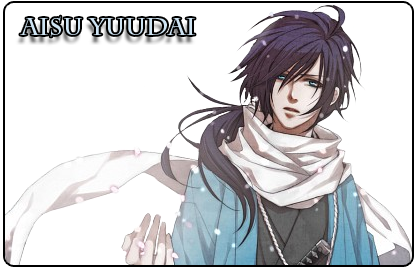 “Yuudai.” The wanderer replied, supplying Shinako with a name in return for her own. With his expression relaxing, but still holding the ever defeated undertones behind it, Yuudai’s eyes slowly to the area in which she placed the bladed weapon she had held mere moments ago before meeting her eyes. “For whatever it's worth, you have my word that you have nothing to fear from me. I’m here alone. If it makes you feel more comfortable, keep the kunai in hand.” He intoned while taking a step towards the tree before leaning against it. Bringing his bandaged hand slightly forward, though still by his side, Yuudai’s eyes went to inspect the bandages, clearly aware of the need to change them in the near future. It wasn’t a primary concern of Yuudai’s to do such a thing, not when he had impromptu company. Eyes traveling to the area the woman occupied, Yuudai would add on, “Forgive me for not being the most welcoming of individuals… it has been a while since I’ve had some company.” He hinted at a truth, not as a means to divulge into it with Shinako, but rather to supplant her with a sense of ease should the message reach her as such. For a few moments, Shinako thought about taking Yuudai up on his dispensation allowing her to brandish her knife. Ultimately, she decided against it, but she could not stop her eyes from flashing to the sword which lay just a few feet away from the strange man. As he examined his bandages, she wondered how quickly he could access it to levy it against her. The harsh sound of a bird broke across the scene; a crow, by the sound of it. Crows had always been omens of bad luck in the Land of Fire, but Shinako decided she would ignore it. 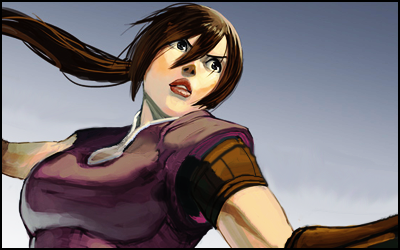 She circled to her left, countering Yuudai’s change in position. The movement was casual, but a Shinobi would probably recognize it for what it was. Shinako was now a little bit closer to the sword, and got a good look at it. The weapon was more finely crafted than any that she owned, and, looking at it, the Kunoichi became sure in that moment that her conversational partner had taken life before. The revelation did not exactly make her more nervous, but she did swallow hard, adding another bit of information to her mental index of the scenario at hand. Shinako reached up and brushed a stray strand of hair behind her ear, wondering what kind of injury lay beneath the man’s bandages. The few moments of motion brought the sour smell of his clothing even more vividly to Shinako’s senses. Her nose crinkled slightly reflexively, and she guessed that he had been out here for a long time. In contrast to his clothing, though, his hair and face seemed relatively clean. The situation grew stranger and stranger. The Kunoichi knew a technique that might work for long enough for her to get away, but did not want to escalate the situation. Never had she been as unsure of her abilities than she was just then. There was something about Yuudai that she could not quite place immediately, but she was sure that she could pin it down at this point in the interaction. Shinako had felt the lengendary “killing intent” of Jounin from the Hidden Leaf. Her Jounin sensei had given her the distinct and predatory impression of a weapon many time; the warm, almost panicked feeling of having an arrow trained on you. This was different. Instead of a primal unnerving feeling, Yuudai produced an almost physical sensation of coldness, even from ten or so meters away. The young woman rubbed the upper portion of her right arm, the exposed flesh closest to her newest woodland companion. She didn’t quite have a frame of reference for this situation. Of course, she had met foreign Shinobi before, and was always a little bit surprised when they did not have accents. However, she had never gotten such a mental impression of distance from another human being. Perhaps not all Shinobi were human. The eerie sound of a crow breaking through the silence between them made him cautionary, though that seemed to be a constant state his body had always been; moving between caution and indifference to the situation at present. Luck, the ill omen presented by the crow’s call, was something Yuudai had never taken too seriously and after the past few years, the idea of luck had been entirely discarded by the swordsman. Why would one believe in luck when there was absolutely nothing they could do stop certain events from occurring? Instead of luck, everything was predetermined by something else, it seemed. The crow’s call was just that to him, a crow’s desire to vocalize its presence instead of bringing about appalling events to humans it barely knew were present. Was he even being hospitable? He didn’t think so. Yuudai was only doing what most other individuals would have done; particularly those individuals who refused to seek out conflict after conflict. Shinako had provided him with no reason to launch an attack, nor could Yuudai bring himself to do such a thing when the constant struggle of his mentality was always at the forefront of it all. Nor could he reason to attack Shinako when Yuudai was ultimately weary and done with battles; he would still intervene to protect those who couldn’t protect themselves, which was evident by the bandages around his hand. While he supplied such words to his newfound, temporary companion, he’d watch the woman move from the corner of his eye. There was no doubt about it from the instance she presented herself that she was indeed a shinobi and he could easily assume that she knew of his stance as one too – even if he’d deny it if asked about it. If it placed her mind at ease to be closer to his weapon, then he’d allow her to do as such. Though, if Yuudai truly thought about it, from simple appearances alone, a person would rather be further away from a short-ranged weapon rather than wishing to be closer to it. Even if Yuudai wasn’t grasping the weapon, the opportunity to wield it was still present. “If you wish for some time alone, I can go on and find someplace else to rest for another hour or so.” And find some medical supplies to rebandage his current wounds. Yuudai could tell she was still suspicious, though anyone would be if they happened across a stranger in the woods, a decent ways away from human civilization. She had stated she wished to get away from the village – he assumed Konoha – just mere moments ago and he figured she wished to be alone. As much as he wished to avoid people, there would be times he would need to venture in to towns and villages to attain more supplies before heading back out on the road. In this instance, it happened to be a stranger happening upon him on their own journey for some time alone; he knew it was near impossible to remain completely hidden at all times, especially when he wasn’t even trying to hide his presence the majority of the time. A sound in the forest in the direction from which Shinako had come drew her gaze for a few moments, and she felt a deep sense of fear, visualizing a white cloak and a porcelain mask. It was only the sour smell of her new companion’s clothing that brought her back the moment. She thought briefly of the maps of the nation she had studied, and decided on a course of action. The Kunoichi crossed the remaining distance to the katana, and knelt to pick it up. Instead of drawing it, she held it by the center and walked calmly but decisively toward Yuudai, shooting another glance into the woods. She extended the instrument of death that he might take it from her. Her training had not encompassed the use of swords, and she doubted that she could even swing it properly. The woman’s voice was decisive and authoritative, and she turned her back on Yuudai without a second thought. If he struck her down, at the very least it was a calculated risk. Shinako knew the penalty for desertion, and it might include killing her on the spot. Even the darkest places in her mind could scarcely imagine what the trained dogs of the Konoha ANBU would do to a Shinobi from another land caught trespassing here. Against her better judgement, and at the behest of something wild and unpredictable in her, she decided that the right thing to do was to help Yuudai evade the hunters. That started with a short trip to the nearby lake. The dark-haired girl hardly paused at the edge of the clearing, though she managed to break into the brush almost silently. All of the time she had spent recently skulking through the woods had given her a sort of heightened sense of how her feet fell. She had even picked up the trick of leading with her shadow, using her innate sensation of it to get a feel for the terrain before she met it physically. One of these days she would have to find a scroll that detailed stealth techniques. Though she doubted that she would ever have to use them for covert operations, they would make her excursions out into the wilderness much easier. A lone squirrel seemed to watch Shinako rather intently, and she briefly made eye-contact with the animal. All of her study of village techniques had never mentioned anything about tracking squirrels, so she found the creature’s attention rather odd. Usually the wildlife around this area was very tame and skittish. At any rate, the Kunoichi pushed the thought of the animal from her mind. If her hunch was right, and there were hunters in the area, she would need every ounce of her incomplete and inadequate training just to keep one step ahead of them. Running, that’s what it always seemed to come down to in his previous adventures. Either running away from or toward danger had always been the name of the game, one that Yuudai had played faithfully to no end. Little had been done to question the means, if it brought an end to the conflict, yet the problem came from conflict alone. No matter the time nor the place, conflict would always be present, and with his current status as a nomad – of sorts – conflict would keep popping its head up every once in a while. There was no avoiding it indefinitely, there was no one place he could find to avoid it entirely. Yuudai was only left with a few options available at hand and given his own lack of desire to fight back, he was more than welcome for the conflict to settle itself by avoidance or other peaceful means. Grabbing the sheathed weapon that belonged to him, offered to him by the stranger known to him as Shinako, Yuudai strapped the weapon to his side where it normally rested. It seemed as if Shinako had taken the initiative to avoid the conflict entirely, of avoiding some hunter ninja that had been sent out by the village. Yuudai knew that simply staying put would result in a fight, but he had no reason to run away either. Despite his status of having up and left his home village, which he assumed wasn’t of the utmost concern for Kirigakure no Sato at the moment, there were no crimes that he had committed that would warrant hunter ninjas from Konohagakure no Sato chasing after him. Regardless of Shinako’s ability to find him, not that he had been actively trying to hide, he could see the reasoning she provided as far as to flee the area and avoid this mess entirely. If he wanted to and was actively trying, he doubted he would have been found by Shinako. The hunter nin were still an unknown to him, as far as their skills went, but Yuudai could only assume they would be on par or slightly worse than him on his best days, currently. If this had been another time, where he had the will to fight, Yuudai knew he would be able to handle himself against them, but again, there was no need to fight for he hadn’t done anything to warrant the aggression of Konohagakure no Sato. Regardless, the woman had begun moving and Yuudai stood still for a few moments, still contemplating whether he should follow her or not – she could easily be leading him to a trap. 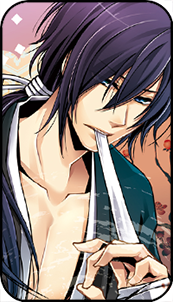 Chewing on the inside of his mouth, the former sannin released a sigh, before quickly taking off after the woman. His speed would allow him to catch up with her fairly easily, though she could just as easily be holding back just for the purpose of leading him towards her intended destination with ease. The assumption that he wasn’t as quick on his feet could be applicable, but he knew it to be false, for her wariness earlier was due to the assumption he was a shinobi. “As much as avoiding these hunter ninja is appeasing to someone who simply wishes to close their eyes in peace for a few moments, I still fail to see the point of avoiding them entirely. Unless the area I was occupying is classified as sacred or whatnot, then what exactly is the point of fleeing?” This was too many words than Yuudai was used to communicating with, but he figured he could at least appease the slight curiosity that had arose with Shinako’s decision to flee. Regardless of what was to come ahead, he at least would get a couple of answers that would settle his musings. For if it was up to Yuudai, he’d have dealt with the hunter ninja on his own. Shinako continued on now that she was sure Yuudai was following. It surprised her how quickly the ragged-looking man was able to fall in line with her. She was no expert, but something about Yuudai betrayed his competence. "If they find us together they will attack first and ask questions later. I'm an active Leaf Shinobi, absent without leave, meeting alone in the woods with a foreign Shinobi. The optics of that are exceedingly bad. I'm sorry to have put you in danger. When we make it to the lake, we can wash your clothes and make you more difficult to track. Then we can part ways." It was true. Shinako was incredibly sorry to have accidentally imperiled someone who, by his own admission, simply wanted to lie down and rest for a while. In the Shinobi world, such rests were few and far between. In the past few weeks, Shinako had been unable to rest even in the safety of her own home. Somehow, she had felt more at ease slipping by some of the the most dangerous Shinobi in the world, risking her life to wander around aimlessly. The physical effort it took to travel through the forest was a bit much for her, but the escape was reward enough to justify the expenditure. The Kunoichi did not stop to wait for Yuudai’s reply, but instead continued to pick her way through the underbrush. Soon, she thought better of that strategy. Finding a suitably solid arbor to the left of her, Shinako flowed chakra through her feet and took four long strides directly upwards, to a sturdy branch. This way, she would not trample the tender limbs of the bushes below, and would not leave an easily discernable trail. A few moments later, she was bouncing rather easily from limb to limb, carefully choosing the path of least resistance, even when it was not the most direct. It was only then that she realized the implicit implications of the man’s question. It dawned on her that only someone completely unafraid of the ANBU hunters would risk meeting them in foreign land for any reason, let alone as casually Yuudai proposed. The question only reassured her that her new companion might be much more than he seemed on the surface. After a few moments of traveling, a certain sense of stillness overtook Shinako, raising the hair on the back of her neck. Upon turning and looking back, she found that the mysterious stranger had vanished. Truly, when the former Seven Swordsman of the Mist thought about the woman’s words, he believed that the correct course of action wouldn’t be running. Not with her, at the very least. Only one of the words she uttered to him made enough sense to him to decide his own course of action, rather than accepting the course that was set forth for him by the Kunoichi of Konohagakure no Sato. Why let the possibility of compromising her status as a shinobi of her village by going along with her? It was simply better off if he avoided following her and took his own route, one that he would need to figure out for himself. The wind swept past him, blowing his long tresses that they obscured his line of sight. Taking a step backward, as the Kunoichi spring off in a sprint to get away from the supposed hunter-nin, Yuudai let out a heavy breath. As much as he wanted to avoid it, the world was full of shinobi and he was ultimately one – there was no way around that fact. A sigh escaped him as he turned in the exact opposite direct that Shinako had taken. With a deep gaze scanning his current horizon, trying to see how close these hunters would be, Yuudai went to gather the few belongings he had with him currently. He knew there was only one choice in the matter that would resolve all his current, everyday problems. The solution was too simple. Releasing another breath, Yuudai took off in a sprint that would take him to a short pit stop that needed to be made before he would head to the destination that, ultimately, made the most sense for him to head toward. Avoiding the hunter-nin would be simple, he had done nothing of harm to Hi no Kuni, thus if there was a confrontation it would be a simple matter to escape from through his words. The worst and only other option was a fight, one that he would rather avoid.